The Ohio Farm Bureau news update area is provided by the Ohio Farm Bureau Federation. Find more from Ohio Farm Bureau by visiting their website, www.ofbf.org. 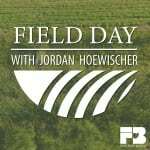 In the latest episode of Field Day with Jordan Hoewischer, Ohio Farm Bureau’s Director of Water Quality and Research talks with a representative from our neighbors up north, Laura Campbell. Campbell manages the agricultural ecology department for Michigan Farm Bureau. Hoewischer and Campbell discussed how issues in Michigan can impact Ohio, and vice versa, particularly as they relate to water quality. They compare and contrast what’s going on across the state line. Q: Ohio and Michigan share a lot of priority issues, such as water quality. What are some things that you’re working on in Michigan, what are the hot button topics? A: Water quality is one of our continuing hot topics and one that’s of really high importance to our members. 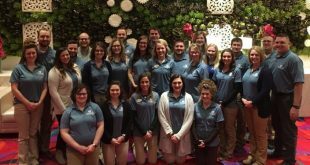 The Ohio Farm Bureau Federation (OFBF) is seeking three individuals to serve as interns for the Ohio State Fair Land and Living Exhibit in 2019. The interns will assist OFBF in hiring and providing direction (with OFBF staff assistance) to State Fair ambassadors. 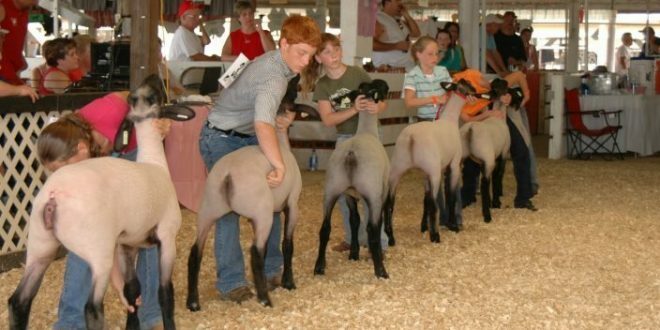 All interns will be responsible for planning, executing and staffing the exhibit at the Ohio State Fair. 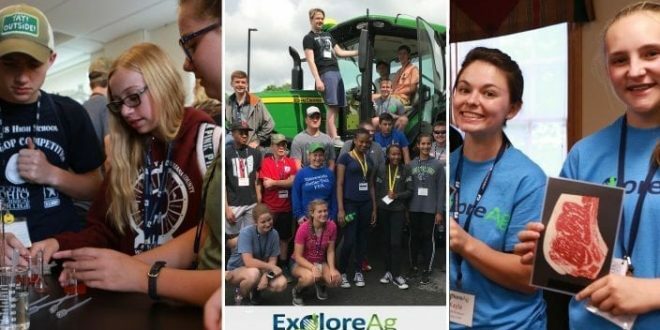 This program provides the opportunity to interact with many leaders in Ohio agriculture and Ohio government. ● Assist OFBF staff with Land and Living exhibit design and implementation. Work in conjunction with exhibit partners, contractors and Ohio Exposition Commission staff on the development of exhibit budget, educational components, construction timeline, and actual exhibit design. ● Coordinate construction efforts with Ohio Exposition Center staff and contractors. Assignments of specific responsibilities will be assigned to team members. ● Coordinate staffing of Land and Living during the Ohio State Fair. As part of the Ohio Farm Bureau Centennial, and in support of the Ohio Farm Bureau Foundation, a Henry Big Boy .44 magnum, a Henry Golden Boy .22 long rifle and a Ruger American Rimfire Farmer edition will be raffled, plus members have the option of purchasing a Henry Commemorative rifle of their own. A selection of calibers are available. Purchase raffle tickets below; tickets will only be sold online. Winners will be notified April 1, 2019 by 5 p.m. An additional Henry rifle will be sold at auction during the Ohio Farm Bureau Centennial Celebration Dec. 7. Raffle tickets are $25 each, or 5 for $100. Voter turnout for a midterm election soared to its highest percentage since 1994 as 54 percent of Ohio residents cast ballots in this crucial election. A contentious statewide ballot issue, five statewide offices, two seats on the Ohio Supreme Court bench, a U.S. Senate seat, all 16 Ohio Congressional seats, half of the Ohio Senate and all 99 Ohio House seats gave Ohio voters plenty of material and mailers to review since the May primary. 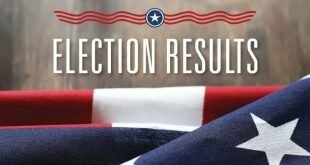 The Ohio Farm Bureau Agricultural for Good Government Political Action Committee Friend of Agriculture candidates proved to be successful at the polls, with 95 percent of all Friend of Ag candidates winning their bids. After announcing opposition to Issue 1, OFB members also helped handily defeat the ballot initiative. For the first time since 1974, Ohio elected a U.S. senator and a governor from opposing parties. 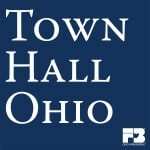 As voters selected Republican Mike DeWine to serve as governor for the next four years, they checked incumbent Democrat Sherrod Brown with another six years in D.C.
WASHINGTON, Oct. 15, 2018 – Agriculture Secretary Sonny Perdue announced the appointment of 16 members to serve on the United Soybean Board. Arkansas – Jim Carroll III, Brinkley, Ark. Georgia – Walter L. Godwin, Pelham, Ga.
Illinois – Lynn Rohrscheib, Fairmount, Ill.
Indiana – Mark Alan Seib, Poseyville, Ind. Kentucky – Brent Gatton, Bremen, Ky.
Louisiana – Garrett Marsh, Tallulah, La. Minnesota – Rochelle Krusemark, Sherburn, Minn.
Missouri – Patrick Hobbs, Dudley, Mo. Nebraska – Tony Johanson, Oakland, Neb. North Carolina – Benjamin Derek Potter, Grantsboro, N.C.
North Dakota – Jay Myers, Colfax, N.D.
Pennsylvania – Andrew J. Fabin, Homer City, Pa.
South Dakota – David Iverson, Astoria, S.D. Virginia – Robert W. White Jr., Virginia Beach, Va.
“I truly appreciate the time and expertise these individuals have agreed to give guiding the United Soybean Board,” said Perdue. On Tuesday evening, Oct. 23, 2018 Clinton County Farm Bureau held a Local Issues Briefing at the Annex building. 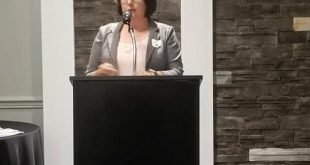 A panel was brought together to show opposing views on State Issue 1 and the Children’s Services Levy and was open to the public for questions. In attendance were Richard Moyer (Clinton County prosecuting attorney), Kent Vandervort (levy chairman), Gina Speaks-Eshler (deputy director of Clinton County Job & Family Services), Judge Timothy Tepe (Warren County Common Pleas Court judge), and David Little (director of special projects for Yes on Issue One). Ohio Farm Bureau supports a No vote on Issue 1 and was shared by Brian Rhodes, Clinton County Farm Bureau Public Policy Action Team Co-leader. Clinton County Farm Bureau President Kym Parks was also present to moderate the program. Salads were donated by our group member and partner Bright Farms. A live video of the briefing is available on our Facebook page. 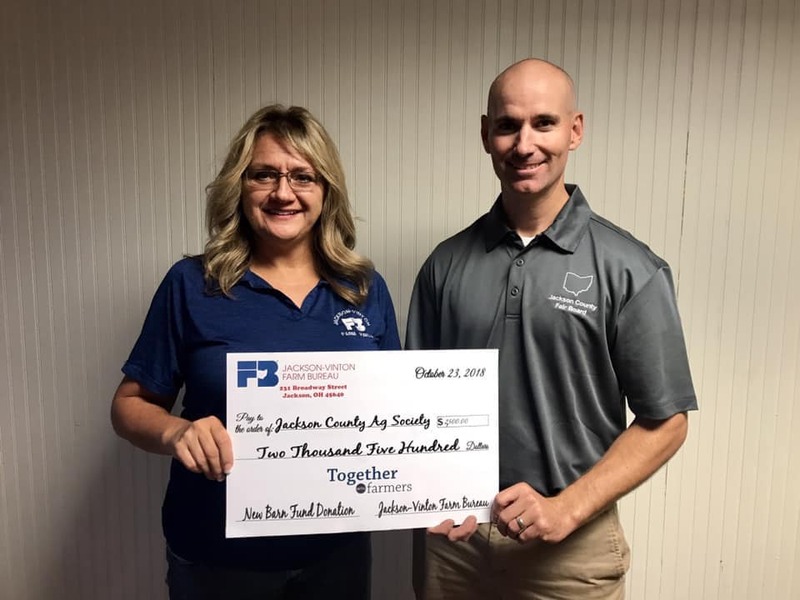 The Jackson-Vinton Farm Bureau presented the Jackson County Agricultural Society a check for $2500, to be used for the construction of a new barn on the Jackson County Fairgrounds. In September, a Hometown Harvest Dinner in the Street event was held to bring local producers and consumers together! The donation given were the proceeds from that event. Thank you to everyone who supported this endeavor. Ohio Farm Bureau is teaming up with the Mid-America Restaurant Expo, presented by the Ohio Restaurant Association to promote Farmers Crossing, an all-new area dedicated to local farmers and highlighting the farm-to-table concept. The expo is an annual restaurant and food service industry trade show that takes place at the Greater Columbus Convention Center Jan. 13-14, 2019. Ohio Farm Bureau is the presenting sponsor of Farmers Crossing. 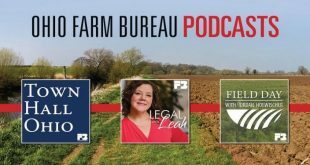 In the latest episode of Field Day with Jordan Hoewischer, Ohio Farm Bureau’s Director of Water Quality and Research steers from those topics as he talks with Marissa Mulligan, policy outreach fellow for the Ohio Farm Bureau, about an epidemic many in Ohio are drowning in – the opioid crisis. Hoewischer and Mulligan discussed the impact of the opioid epidemic in rural communities and how Ohio Farm Bureau is helping by hosting Hope for Ohio events around the state. Hope for Ohio is a series of regional events that focus on peer-to-peer prevention strategies at a local level. Q: How has the opioid crisis bubbled up to the top as such a widespread issue not only in Ohio but around the country? While Farm Bureau does not believe the public will have an opportunity to comment, we do want to make members aware of the details if they are interested in attending. The meeting will be held at the Ohio Department of Agriculture, 8995 E Main Street, Reynoldsburg, in the Bromfield Administration Building. 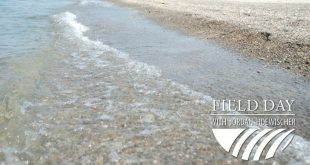 A special task group of the Ohio Soil and Water Conservation Commission met Oct. 25 to discuss an Ohio Department of Agriculture report intended to justify the designation. 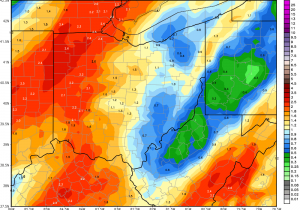 The task group declined to discuss a previously submitted Ohio Farm Bureau analysis that shows the criteria for declaring a watershed in distress have not been met. Group Chairman and OSWCC member Fred Cash will prepare a report on the group’s findings that will be presented to the full commission Nov. The Ohio Farm Bureau Federation board of trustees has announced the organization’s opposition to State Issue 1, misleadingly called the Neighborhood Safety, Drug Treatment and Rehabilitation Amendment. Farm Bureau, Ohio’s largest organization for farm, food and rural interests, believes Issue 1 is not a viable approach to the state’s opioid crisis. 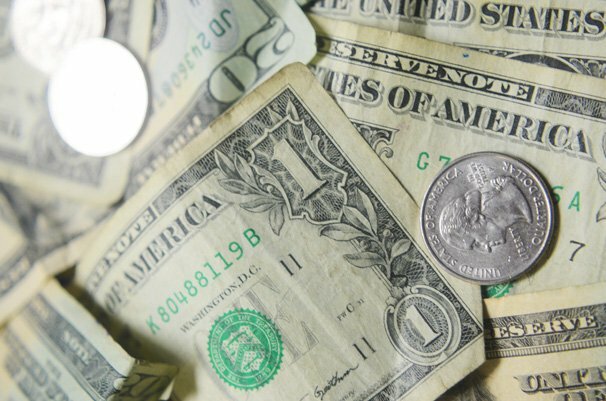 The organization also believes that a constitutional amendment is not the best mechanism for addressing Ohio’s addiction and drug trafficking problems, especially when the initiative is funded by large out-of-state interests. Farm Bureau trustees also were concerned that Issue 1 would harm the Ohio court system’s ability to effectively deal with illegal drugs. Ohio’s farmers and craft beer enthusiasts will soon celebrate the release of a new specialty beer. 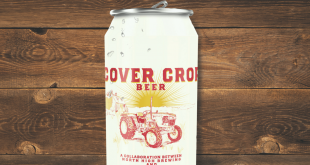 Cover Crop, from North High Brewing, will commemorate the 100th anniversary of Ohio Farm Bureau. Cover Crop is a light-bodied, easy drinking golden ale that is crisp, refreshing and perfect for relaxing after a day of hard work in the office, factory or farm. The name Cover Crop honors the revival of a farming practice that sustains the land and its surrounding environment. Cover Crop will be released in package and draft beginning in December and be available throughout 2019 wherever North High beer is sold. Ohio Farm Bureau Director of Membership Sales Adam Carney talks with Ohio Ag Net’s Joel Penhorwood about the unique product. Using local ingredients was important for both Ohio Farm Bureau and North High Brewing, which is a member of Farm Bureau. Cover Crop is to be brewed with local malt sourced from Rustic Brew Farm in Marysville, Ohio. 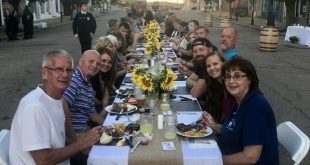 The Jackson-Vinton Farm Bureau recently held its first Hometown Harvest Dinner in the Street event, a fundraiser to help build a new barn at the Jackson County Fairgrounds. This invitation-only event was held on Broadway Street in downtown Jackson. 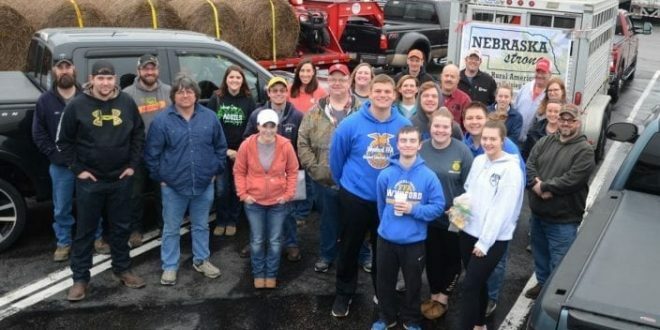 Local businesses, Farm Bureau group members, local Farm Bureau members who are producers, and some state and county elected officials were on the invitation list. Senior Organization Director Kim Harless said, “We wanted the mix to be a good one not only for agriculture discussion but for the fundraiser.” Senior Fair Board Vice President Christopher Smalley spoke about the new project at the fairgrounds, and thanked the Jackson-Vinton Farm Bureau for holding a great event! All proceeds for the cost of the dinner, which was $25 per plate, went to the barn fund and any donations received that night will do directly to the barn fund as well. Harless said, “Our goal was 75 people we had 87 so we are extremely pleased with that.” The Jackson-Vinton Farm Bureau partnered with local Farm Bureau member businesses: Rowdy’s Smokehouse, Arch and Eddie’s, The Spot on Main and Sixth Sense Brewing and Burritos, for all locally produced food for the meal including the steaks and chicken served as the main course and the lamb that was used as an appetizer. Ohioans have to endure one of the toughest situations in the country when the government takes their land but refuses to acknowledge it. 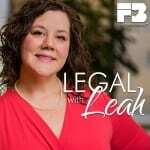 Protecting landowners from punitive state eminent domain laws is the goal of an Ohio Farm Bureau legal brief submitted to the Supreme Court of the United States. Supreme Court precedent currently prohibits Ohioans from appealing to federal court to address government property takings. 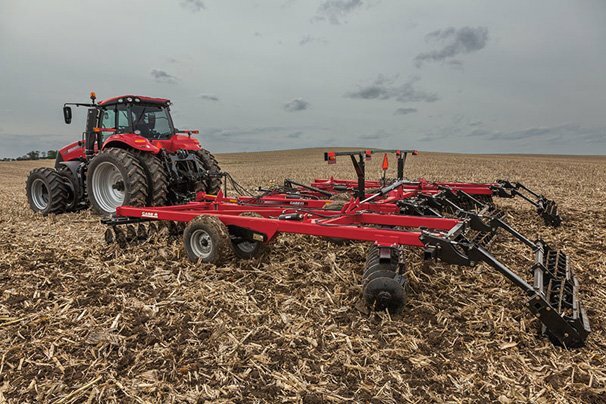 Ohio Farm Bureau’s brief seeks to overturn precedent and gain landowners the option to appeal directly to a federal court. Ohio Farm Bureau’s first engagement with the Supreme Court of the United States was a special opportunity. 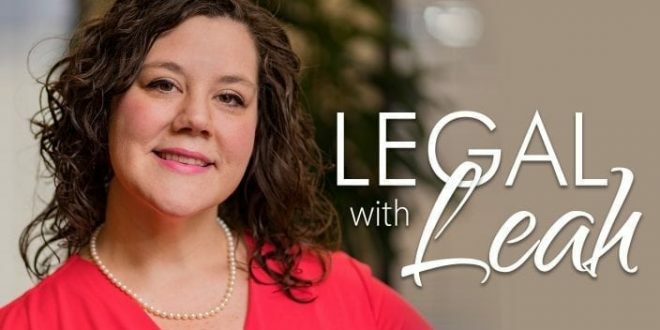 On this episode of Legal with Leah, Policy Counsel Leah Curtis shares her experience with us. The purpose of the training is to provide humane officers a basic understanding of farm animal care and production practices and to identify resources for local animal shelters and officials dealing with animal care complaints. 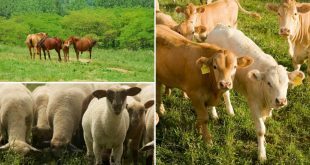 The farm tours will allow participants to view livestock in a typical farm setting and interact with the farm management and other local agricultural leaders. Hosted by Ohio Farm Bureau. The state and national policies are sent to the Ohio Farm Bureau Federation to be considered by a committee made up of Farm Bureau members across the state and OFBF staff. 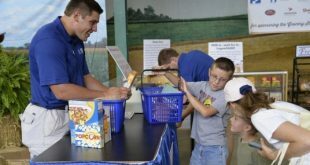 For 100 years, Butler County Farm Bureau has been serving farming, rural and urban communities in the county. To mark our 100th year, the organization celebrated at the annual meeting Aug. 23 with a program highlighting the past years since our origination and honoring the leaders of the organization. Many displays of past memorabilia and articles were on display as well as a “What Is It’ game for attendees guessing what farm or household antique was on display. A keepsake bag featuring the centennial celebration logo was given to all attending the meeting. Many past presidents were in attendance of the more than 170 people at the meeting. 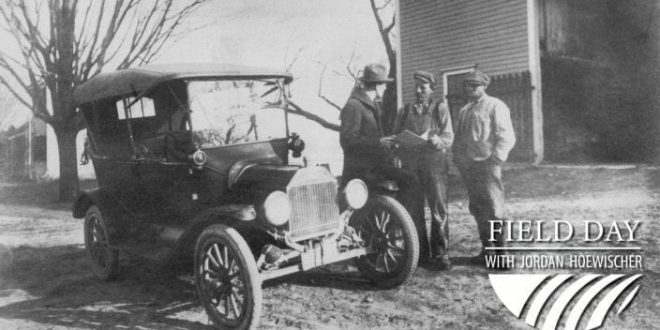 To continue the centennial celebration, Butler County will feature a past leaders, organizations, groups, committees and other important parts of the organization that have shaped our history on Facebook each week. Follow us at Butler County Farm Bureau Hamilton OH.